Transformation is not always visual. 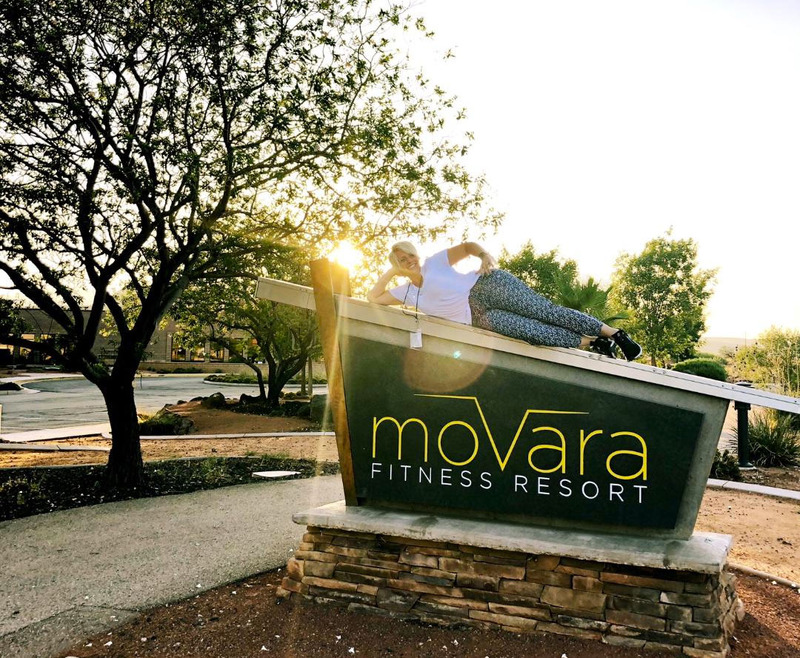 I spent a week at Movara Fitness Resort in Utah. 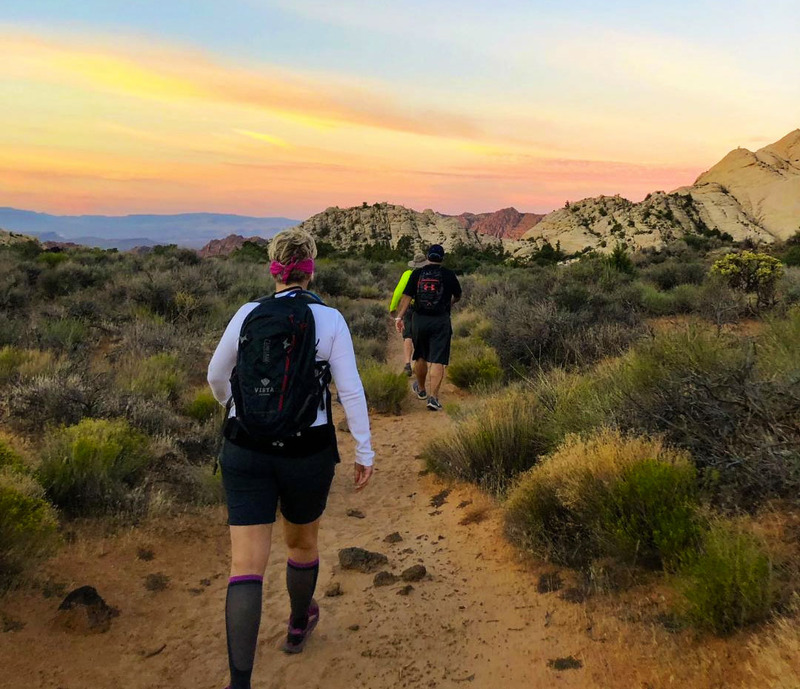 I had no idea what to expect from a week at what may many call a “fat camp.” I was there to find a way to reset and focus on me without any distractions from my everyday life. Life can be complicated and stressful and this week has taught me many things. Things about fitness and what it can do for my body; things about nutrition that seem so obvious but still hard to live by. And finally things about my perception about myself and how it impacts my daily thoughts, both the good and the bad. While I did lose a pound and inches all over, I also gained 2 pounds of muscle, confidence, and knowledge. *I can hike! I am a Florida girl all the way. Give me flat landscapes and sunny weather all year round. This week was cold and rainy and all our walking was uphill. I hiked on thick sand, I climbed up rocks and while my legs may be sore, they have this amazing strength to keep on going no matter how hard it got. *People can actually eat 1300 calories throughout the day and feel full… if you eat nutrient-dense foods. I am really excited to bring back new recipes, which include peanut butter cups and s’mores (well.. s’more since you only get one) and focus on meal planning so I can still enjoy my favorite treats (gummies and jellybeans) every so often. *There is something to be said for Mother Nature! We are surrounded by some of the most stunning scenery. There is something about walking up a mountain and hearing the sounds of water flowing in a nearby stream. The feel of the sun on my face as I approach the top of a cliff. Pictures help capture the memories but being a part of God’s beauty is just beyond description. *Find a support system! Whether a family member, a trainer, a best friend or a staff member at a resort. Knowing there is someone who has your back no matter what really helps push you. I am so lucky that my husband came on this trip with me. We each had our own reasons and purpose for the week but we had each other. 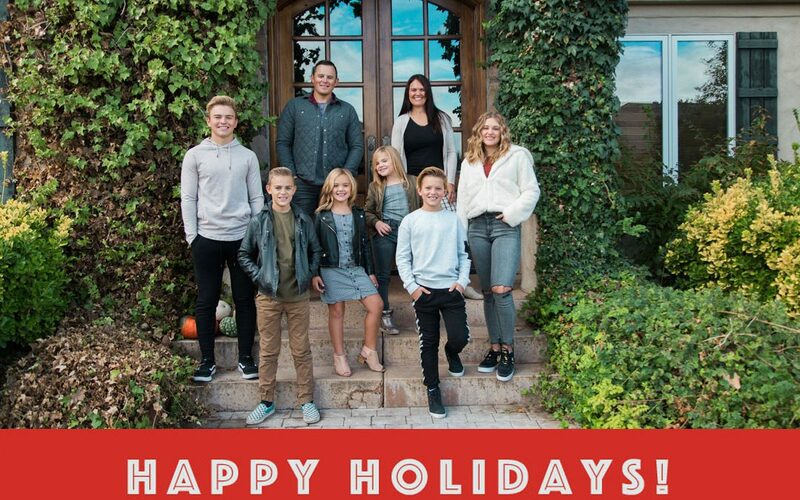 Happy Holidays from the Kelsch Family! We want to wish all of our Movara family a very Merry Christmas and a Happy New Year. We are grateful for our health, and relationships and the ability to improve on them every day. The Movara Villas have kept Cameron busy this past year. They will be such a beautiful addition to the resort this coming year. He continues to be Michelle’s running partner 4-6 days a week and picks up the (often large) slack around the house, and juggling kids activities. 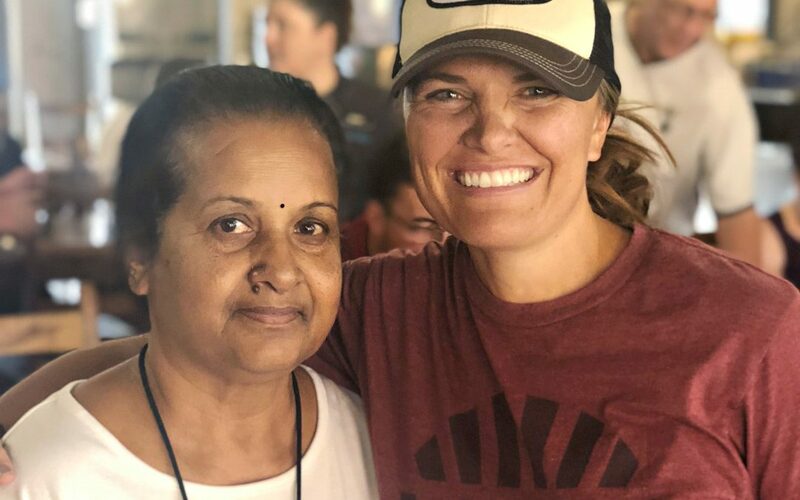 Michelle stays busy trying to balance laundry, feeding our family, cleaning up the house, attending many games, homework, and doing her best to teach and practice healthy habits. A large part of Michelle is embodied at Movara and it makes her happy when she gets to visit with guests every week. Bryson (17) is a Junior at SCHS. He has worked in the Movara kitchen this past year and is currently working a few mornings a week at the front desk before school. He is playing basketball and baseball this year. Brielle (15) is a sophomore at SCHS. Brielle is part of the housekeeping staff at Movara. She cheers for SCHS and continues to be a big help at home. Brielle started attending early morning spin classes with Michelle. She is so easy going, fun and appreciates her dad’s jokes. Trey (13) has been dairy free for a year because of an allergic reaction that was life-threatening. He hasn’t slowed down because of it. He is either riding his dirt bike, at the mountain bike park, playing football, baseball, basketball or crashed in his bed from playing so hard. Bryson, Brielle and Trey are officially faster than their mom. Trey is in his 7th year of Chinese. Kade (10) has the best hair in the family. He keeps up with his older brothers playing baseball, basketball and football. He attends the school choir before school and is learning Chinese. Macie (9) is learning Chinese and sings in the school choir. She loves to invite friends over to play school. She and Jada love any chance to swim. Jada (8) is also learning Chinese. She loves to ride bikes, jump on the trampoline and spend time with her older sister Macie. We are so grateful for an incredible staff that makes it possible for us to spend time with our children. We feel very confident in their ability to provide the life-changing experience Movara truly is. Hope to see you all in 2019! My name is Lata and I am 70 years old. I first came to Movara 4-5 years ago. My husband found Movara online and encouraged me to go. While living in India, I used to attend a naturopathy & yoga sciences place called “Zindal” because I have always struggled with my weight. I do NOT have healthy genes so I have to work hard at maintaining my weight. My goal is to see my grandchildren graduate from high school and Movara is helping me to do that! I love coming to Movara. I have enjoyed meeting the kindest people here. Excellent service and great staff! God bless all of you and thank you from the bottom of my heart. 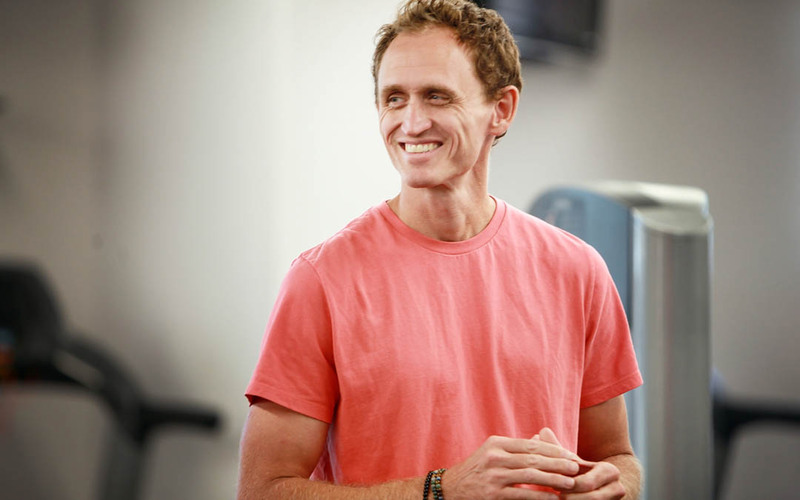 Meet Movara’s new trainer, Jared! Hello, Movara friends and family! I’m Movara’s new trainer and I’m so happy to be part of this wonderful, nurturing place. I have always been fascinated with the human body and how it works. I remember the moment in class during high school that I recognized that I wanted to be involved in fitness – I just didn’t know how, or what. I became a trainer while attending undergrad school at SUU while I studied exercise science and found a love working with others in reaching their goals. That desire and motivation has continued to this day. After getting my bachelor’s degree, I took a teaching job while continuing my education for my master’s degree in Human Movement and corrective exercise. My experience over the last 15 years in fitness is not typical. Although not intentional, due to the nature of the industry, I have had the opportunity to work in nearly all areas of the health and fitness. I have taught in public and private secondary schools, as well as post-secondary institutions. I’ve worked in corporate wellness helping companies increase the health of their workforce. I’ve also trained and coached in public “globo-gyms,” private fitness centers, elite training facilities, rehabilitation centers, country clubs, community clubs, and high-end resorts. This experience has given me the opportunity to work with everyone from seniors working on balance and coordination, to elite and professional athletes, to celebrities. And I’ve found that I get the most joy out of my work in helping everyday people trying to meet their individual goals to get healthier. Just because I have always been interested in health and fitness doesn’t mean that I have never struggled with my own health. In one work-related position over the course of nearly 3 years, I gained a substantial amount of weight, which required me to re-evaluate my job, motivation and health practices. After deciding to leave that job for my own health and happiness, I was able to apply my knowledge to practice what I preach to others, to get myself back to where I knew I needed to be. To facilitate the changes, I shifted my diet from vegetarian to vegan and started a new workout system of high-intensity interval training through CrossFit. Becoming vegan and starting CrossFit was the answer for me (not for everyone) in helping me get my life and health back on track – and I haven’t looked back. My personal journey with health has added to my experience and ability to connect with others because I have experienced what it is like to struggle and have to make real changes in my life. My favorite workout for myself is a CrossFit benchmark workout that goes back to basics. It’s called “Barbara” and is 5 rounds for time of 20-pull ups, 30 push ups, 40 sit ups, and 50 squats. It is always a challenge and it’s fun to try to beat my previous time! In coaching and training my “go-to” workout is an interval system called “Tabata.” For Tabata intervals, choose one movement or exercise, and for 4 minutes alternate between 20 seconds of work, and 10 seconds of rest with the goal being consistent through all 8 twenty-second cycles! Outside of work and fitness, I enjoy spending time with my kids and my dog, as well as doing anything active, being outdoors, working with my hands on projects, and creating art. 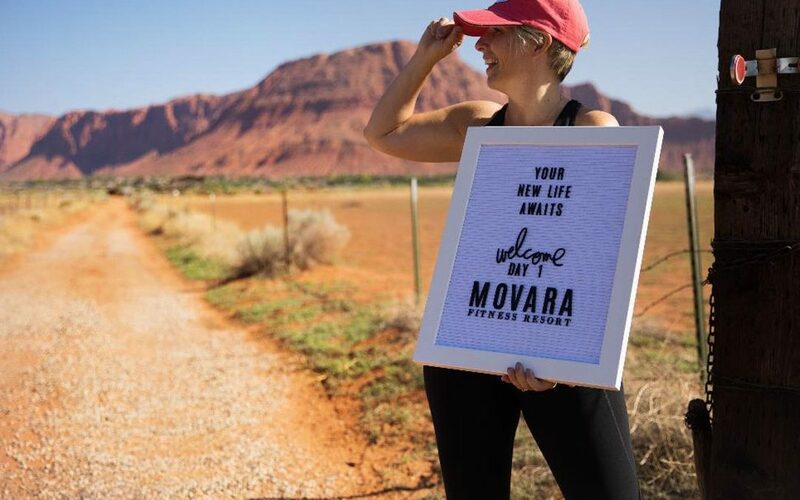 I feel like I have found my place at Movara in a position that lets me draw on all of my experience and do everything that I love doing: teaching, coaching, and training a wide range of people at all different fitness levels, while building meaningful connections, in the most beautiful part of the of the world. I can’t wait to meet you during your next trip to Movara! I heard about Movara at the beginning of 2018. It was about the time that I was thinking about my goals for a new year, and knowing that I really needed to make some major changes in my life. Wait…first just a little background information: I am a wife and mom to 5 kids. I am a work-a-holic. I love my job. I have my own brand of craft supplies and I love to “make pretty stuff”. I have also decided that I am a creative vampire!? I am only creative at night – which sparks a difficult cycle of staying up too late, and not having enough energy to exercise, and then using SUGAR to fuel me through the rest of the day. This has been going on for many years. And honestly, it had been working for me. I have told myself for years that I “thrive” off the adrenaline of chaos, and last minute magic. In summer of 2015, tragedy struck our family. Our 16 year old son made the decision to end his life. I was immediately changed forever, along with the dynamic of our entire family as we dealt with the grief and trauma of a suicide in our family. If there was any “self-care” happening, it all ended. Fast food became the standard. Sleep was an escape. Energy was swallowed up in sadness. I could literally feel my body falling apart, but it was all I could do to keep up with the normal daily demands. I could compare my life to the “low power mode” on a phone that is almost out of battery. I had to allow time to help me heal (and therapy, coaching and faith). By the beginning of 2018, I felt ready to try and pick up some pieces. This is where we rejoin the beginning of this story: I came across a post on Instagram from one of the hiking guides at Movara, and I was so inspired, that I started following @movarafitnessresort on Instagram. After noticing a few more posts, I was intrigued enough to check out the website, and learn more – enough to know that I really wanted to come for myself. But I was also very intimidated by all the exercise. Even though I was totally dreaming of spending time at Movara, the thought of taking the time off and away from my life was very scary to me. I mean, it seems that I can manage to leave for work trips and even family vacations… or other typical obligations…but LEAVE HOME just for me? No other reason? How can I justify that? How can I take the time, and inconvenience EVERYONE just so that I can go have this experience? The inner-battle was STRONG. I put off setting a date for my visit for months. It seemed that every week had a conflict! And new commitments were popping up left and right! I finally realized that I just had to pick a date, and then clear my schedule. I had to make it work. I wanted to come. I wanted to make changes. I wasn’t totally sure I could hack it. As I am writing this… I am here, entering day 5. I have about a million things that I could say about this time I have gifted myself… I am sore, tired and empowered! But the most significant thing I have come to realize about being here at Movara is that I can feel. That might seem like a weird statement… but by stepping out of my regular life, away from work and even my family – I started to feel again; the numbness of busy-ness, over-stimulation, stress and worry faded away and I realized how much I need me; how much I need to take care of me. Self-care is no joke; but it’s also become a trendy buzz word that sells face masks and promotes bath bombs. As much as I love both, I counter with the bold statement (that I am stealing from David Kozlowski, my partner on our podcast “Light the Fight”) which is this: Self-care is “best friending yourself”. Being your own number one cheerleader. Loving yourself unconditionally. Living up to the promises you make yourself, and then forgiving yourself when you fall short. Best-Friending yourself is believing that you matter enough to make necessary sacrifices to protect and care for YOU. I am deeply grateful for my family, and my team at work for supporting me. As I have walked these red rocks, and left sweat mixed with tears on the gym floor and cardio machines the overwhelming feeling I have is gratitude. I am so grateful for my body. It’s time for me to love and appreciate it, and honor it with movement and good food (and a bunch of massages). Thank you for Movara. You are changing my life. I came to Movara for three weeks in the early summer of 2018. I was very overweight, had Type II diabetes with poor control of my blood sugar, and had not exercised for a long time. I needed a program to help me start a new way of life; one that would combine the right food, exercise, and mindset. After looking carefully, I chose Movara, and I am very pleased with my choice. In three weeks, I lost eighteen pounds, including ten pounds of body fat, but most significantly my fasting blood sugar numbers were in the 60s and 70s, and have remained so in the week following my return home. They have never been this low since my diagnosis some ten years ago. Clearly my experience was a personal one, nevertheless, it speaks to the care and effort that goes into the nutrition and meal planning (thanks Chef Chris! ), the exercise program, and the daily routine at Movara. 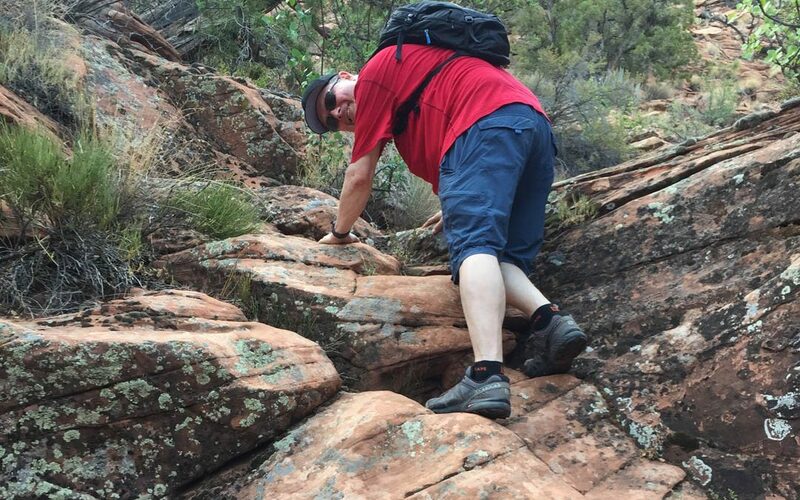 A highlight of the program for me was the daily hikes in the mountains and canyons of southern Utah. I had never been hiking before and would never have imagined the hikes I completed by the end of the three weeks. All of the staff at Movara made the resort feel like a second home; the front-desk staff, the dining-hall staff, the fitness instructors, and the hiking leaders were all terrific – without exception. They established a supportive atmosphere within which to work (and it was hard work), to push myself physically and mentally (especially on the hikes), and to eat right (and not have an extra slice of toast at breakfast). And finally, there was the camaraderie of the guests at Movara. We all brought different life experiences, and together fostered a supportive environment, at meals, on hikes, in the gym, and around the pool. Finally, after a week back home in Michigan, I am applying what I learned at Movara, a day at a time, on a journey to a more healthy and happy life. I am already planning a return trip to Movara in the winter – I can’t wait!